This is not one of his recipes, but is a version of Martha Stewart’s creation. And what I like about it, is its simplicity. My first restaurant, Skie Grille, in Utorda Goa was all about food off the grill, may be that’s why this recipe is close to my heart. Or may be it’s just the ease in creating it–all it takes is 5 minutes and can be made with ingredients found in every pantry. 2. 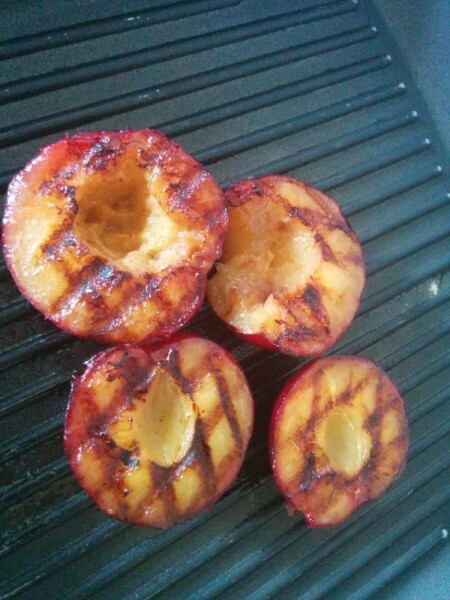 Grill the plum on the grilling pan placing the pitted side on the grill. Charred marks on the plums. At this stage you could brush it with unsalted butter. 3. Grill for 3 to 4 minutes till the grill marks are visible. 4. Turn over and grill the skin side for 2 to 3 minutes. Remove from grill and cool. 5. Mix together the mascarpone cheese, half the cinnamon powder and sugarfree and cool it. 6. Reduce the orange juice and liqueur together till it is of a thick syrup consistency. 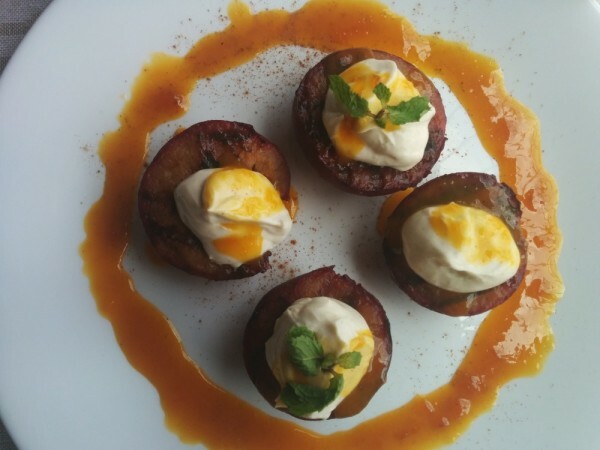 To plate up: Top a scoop of the mascarpone cheese mix on the grilled plum. Place it on a white plate. Drizzle the honey on it and top with the remaining cinnamon powder. 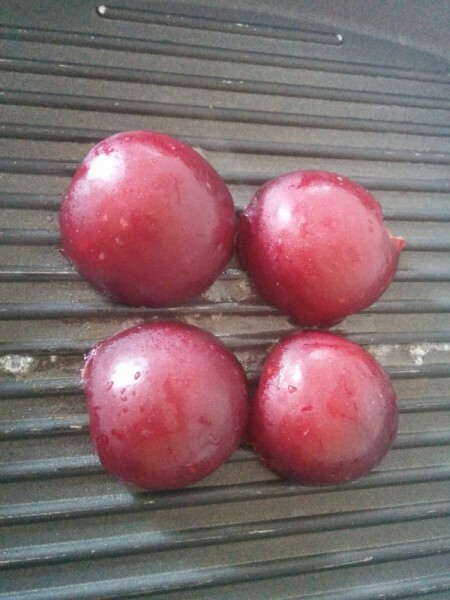 Place a mint leaf in the centre of each plum. Pour the orange juice reduction over and around the plums.